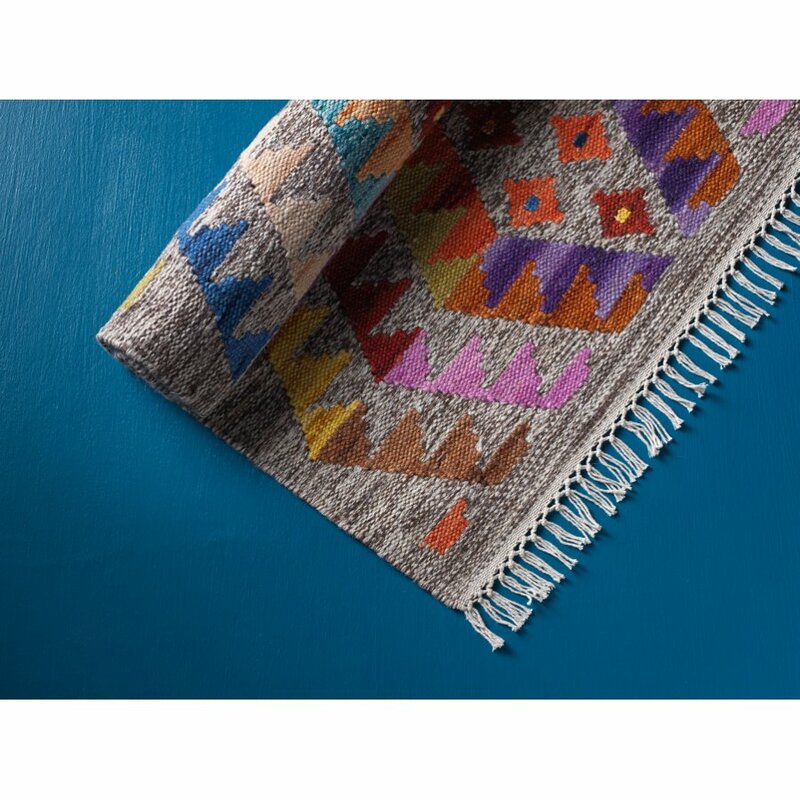 This fair trade wool and cotton rug has been hand loomed in India by skilled artisans using traditional technique passed down through the ages. 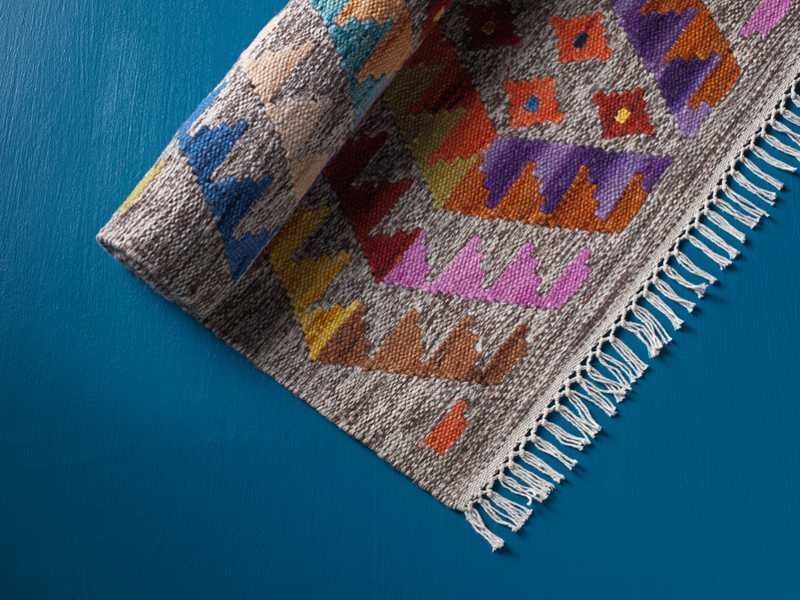 The rug features an eye catching Aztec inspired pattern, with the high wool content allowing vibrancy and depth of colour to create a stunning design. Hand wash separately in cold water or can be dry cleaned. 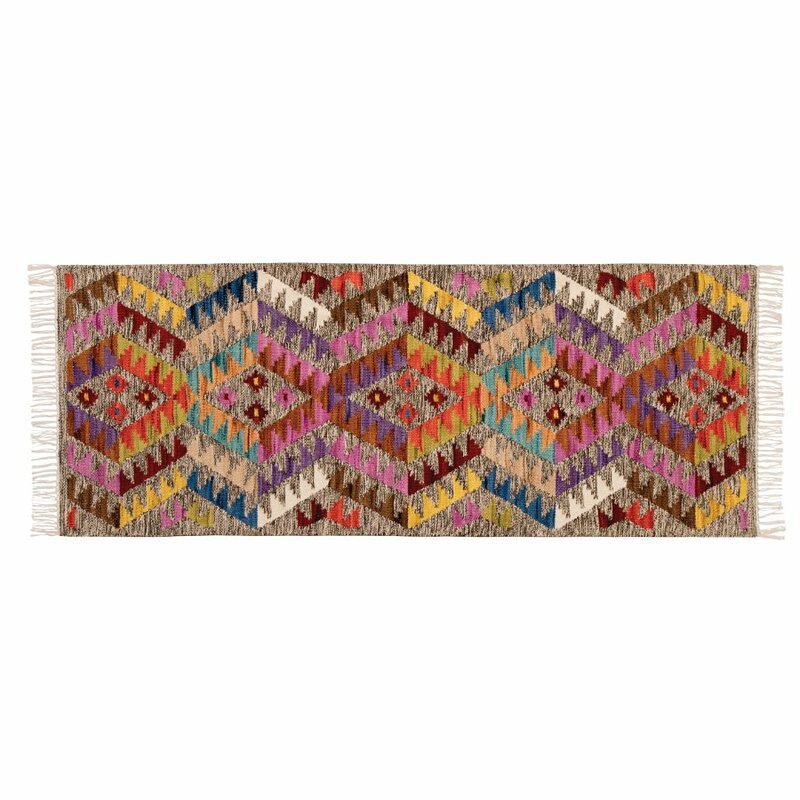 The Aztec Multi Diamond Rug - 75 x 200cm product ethics are indicated below. To learn more about these product ethics and to see related products, follow the links below. There are currently no questions to display about Aztec Multi Diamond Rug - 75 x 200cm.